We have a Playup Perth success to share! 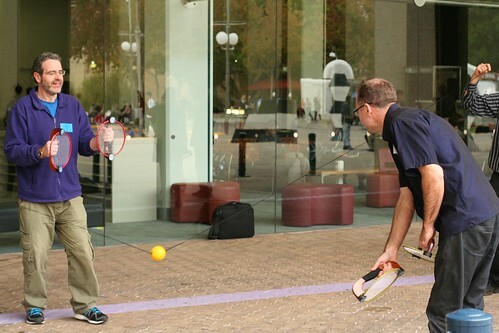 Back in June, we got to test out a nifty racquet-based game called Bok. Much to our delight, the creator of Bok, Claude Woodward, has recently been awarded a scholarship for the Curtin Ignition program to help develop Bok further! This is thanks to Claude following up on some of the advice given to him from the Playup, and it’s great to see the effect that the feedback of the day has had! Congrats to Claude; hopefully this helps propel Bok to become the sport he so avidly envisions! If you’d like to find out more about Bok, you can check it out on the official Bok Website.